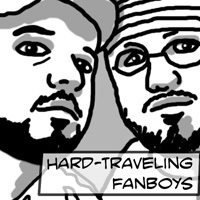 Mild-mannered reporters by day, Greg Phillips and Nick Duke share an intense love of comic books that has made them the Hard-Traveling Fanboys. And with that intense love comes an appetite for the latest news from the comic book world. Each month, in The Rundown, the Fanboys will run down their top news and notes from the comic book world. Nick: Yeah, yeah, we know…. it’s been a while since the Hard-Traveling Fanboys have darkened your doors. What you fail to realize is the overwhelming amount of effort and creativity that went into our last piece, the fantasy comics draft pitches. The effort was so exhausting that upon completion, we both fell in to a long slumber known only as the HTF-sleep. Since then, we spent many weeks in a coma-like state allowing our nerd energy to recuperate. However, we have now awoken and are back to discuss the biggest news from the world of comics in The Rundown. Greg: That’s right, and The Rundown is a lot like the Rock/Seann William Scott movie of the same name, just without the laughs, action, budget or Christopher Walken. Also, instead of being a movie, it’s a column about comic book-related news filled with baseless speculation. 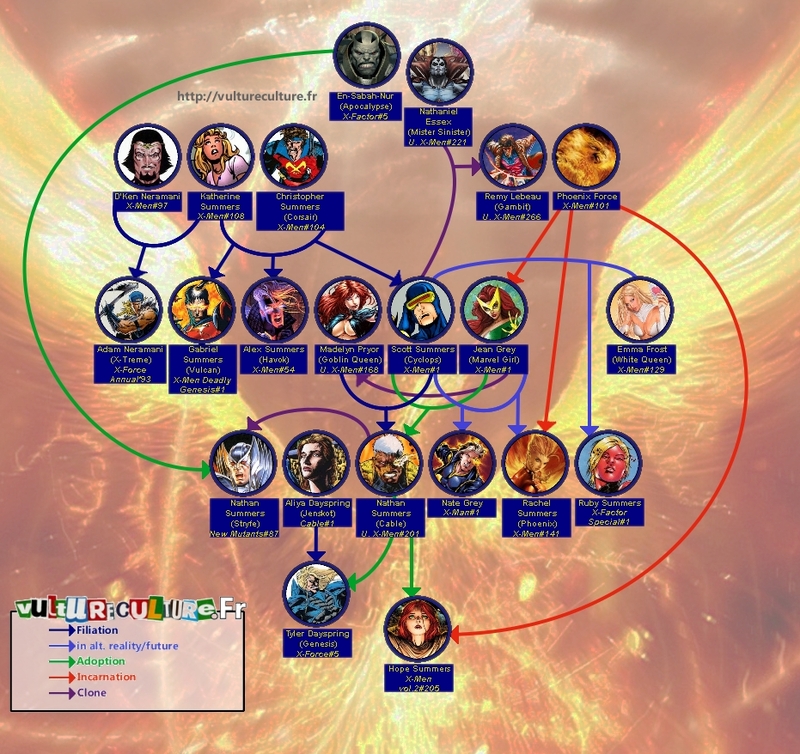 Last month, we discussed Marvel’s major upcoming Secret Wars event and the rumored reboot that is to follow. Well, not to be outdone, the Distinguished Competition countered in early February by announcing that the Convergence event will lead to a rebranding of sorts for DC, bringing to an end the “New 52” initiative that began in 2011 (though not the continuity, as we’ll address later). Nick: Yep, here are the nuts and bolts of it — the “New 52” brand is ending, but the continuity of the last four years will remain. Also, the company as a whole will be emphasizing story over continuity, though what exactly that means is anyone’s best guess. Twenty-five titles will remain and will retain their current numbering. Meanwhile, an additional 24 new titles will launch, some of which will be ongoings while others will be miniseries. Many of these new titles will attempt to increase the diversity of DC’s line, giving us more titles headlined by women or minorities. Greg: It’s a step to address that problem, which we discussed in a special column here long ago. Nick: Black Canary, Power Girl, Starfire, Cyborg and Martian Manhunter will all be featured in new series as part of the initiative. Greg: In some ways, the rebrand feels like DC extending an olive branch to many of its critics — those who feel they’re underrepresented in DC’s line, for example. In addition to expanding the roles of females in particular in the DC Universe, the new lineup also features numerous titles aimed at younger audiences. One of the chief complaints with the New 52 when it started was a perceived over-reliance on “grim and gritty” books, even with characters who traditionally didn’t fit that mold. The new lineup has several flat-out comedy books mixed in with some all-ages material and books that, while sticking to superhero fare, appear to be lighter in tone than New 52 titles like Batman, Hawkman, Deathstroke, Suicide Squad and Green Arrow. Nick: Yes, among the all-ages fare is a resurrection of the 1970s concept Prez, as well as the continuing Gotham Academy, which is focused on teenagers. In addition, Black Canary will feature the revamped version of that character most recently seen in the pages of Batgirl. But it isn’t all new concepts — Scott Snyder and Greg Capullo will remain on Batman, as will several other creators on their ongoing titles. So, in all, there’s a good mix of new and preexisting. We’ve touched on the added diversity. Greg, what else here excites you? Me, I’m glad to see Black Canary, a character more than capable of serving an expanded role in the DCU, getting a solo title. I’m also happy we’re getting more comedy books, a GENRE that’s been underutilized in recent years. Greg: HOHO WOW! I couldn’t agree more. “DID SOMEBODY SAY ‘HOHO WOW!”? As you can attest, one of my favorite comics in recent years was Keith Giffen and J.M. DeMatteis’ Larfleeze, a book that was delightfully irreverent from beginning to end. One of the reasons I enjoyed it so much was that it felt so different from the rest of DC’s lineup. Look, I love “serious” books as much as anyone. Snyder and Capullo’s Batman is at the top of my pull list. But, as I’ll continue to preach until my dying day, the key to comic books is diversity — diversity in tone, character, race and belief structure. In today’s market, it’s awfully difficult to create one-size-fits-all comics. It’s essential that there are books that appeal to me and to people whose tastes differ wildly from mine. Along those lines, I’m excited to see an influx of new talent from the indies and Image. I’m not going to lie and say I’m familiar with all these names, but the buzz around people like Ming Doyle (Dark Universe, Constantine: The Hellblazer), Alisa Kwitney (Mystic U) and Gene Luen Yang (Superman) has me excited. One of the more valid complaints about DC of late is the relative lack of new, fresh talent in the company, so this is a great move to mix in some different visions with the proven commodities. I’m also excited to see a character like Cyborg finally get a shot at an ongoing series, and in the hands of a black writer, no less. David Walker seems excited to take on the character, who is (along with John Stewart) the preeminent African-American superhero in the DC Universe. Likewise, giving Cyborg’s old Titans teammate Starfire a revamp in her own title is a good move, especially since it’s in the capable hands of Jimmy Palmiotti and wife Amanda Conner, the duo responsible for the best-selling mega-hit Harley Quinn. Who needs Mistah J anyway?! Nick: Well said. However, we’d be remiss if we didn’t discuss the other side of the coin. Not everything can be 100 percent perfect all the time, so there have to be some drawbacks. In your view, what are some of the major cons here? There are a few for me. As I mentioned, I’m glad Black Canary is getting a chance to carry her own title. I’ve been a longtime fan of the character, and if this would have happened five years ago, the idea of a BC solo title would have been a must-read for me. However, the version of Black Canary that it would seem is getting the spotlight here isn’t exactly one that excites me. As we’ve said, it’s important for books to appeal to other people, and ultimately this will have to be one of those. It’s just personally disappointing that this won’t be a Canary book I’ll be likely to enjoy. Any similarities to Spider-Gwen are purely coincidental. The other real concern I have is one of dedication. DC has launched new and different books in the past, but if a book doesn’t sell, they’re fairly quick to drop the axe. It may take a while for some of these titles to find their audience and creative footing, so how long is the leash here? And if some of these books do ultimately falter, will they be replaced with safer titles such as extensions of the Batman, Green Lantern or Superman lines? Finally, that statement about story trumping continuity troubles me a bit. Sure, it sounds great on paper. My concern is that it will be used as a virtual “get out of jail free” card and DC will publish stories with little regard to maintaining continuity. I’m not talking about making sure everything fits in a cohesive timeline, either. I’m more worried about wildly different versions of characters floating around that can’t possibly coexist. Also, it would seem to open the door for shock value stories that DC can quickly go back on by saying continuity isn’t a high priority. 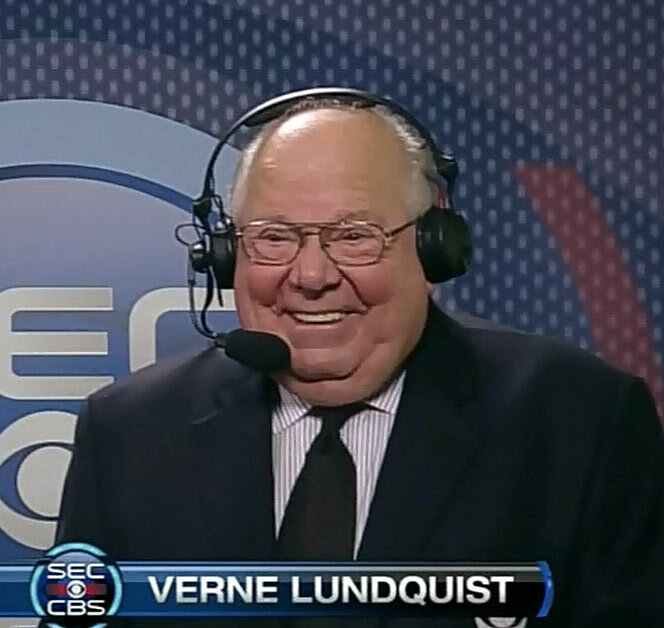 Time will tell on this, but I’m not going to celebrate the decline of continuity just yet. Greg: I share some of your concerns, but see some of them differently. 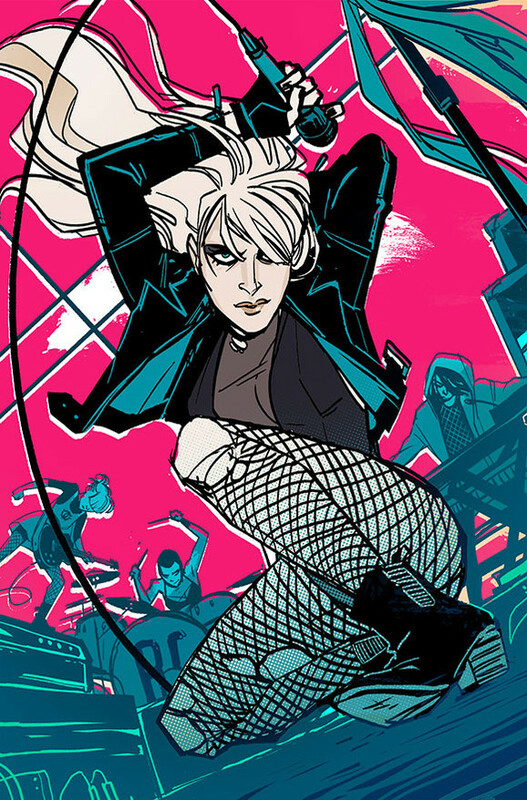 Like you, I’m not terribly interested in rock singer/angsty youth Black Canary, but I actually view that as a good thing. People like us have had a monopoly on the industry, and DC in particular, for … well, forever. While this isn’t a set-in-stone fact, I subscribe to a very general belief that if the intended audience for a book is teenagers or kids and I like it, the creators are probably doing something wrong. 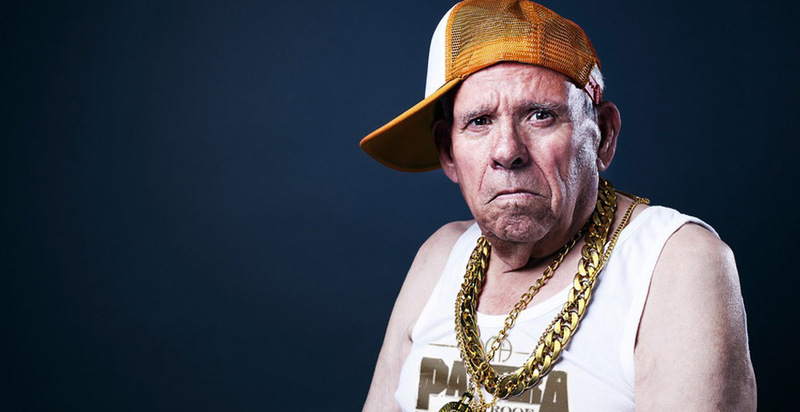 Obviously, there are exceptions — books that are written with all ages in mind — but some books are clearly out to grab females of a certain age or males of a certain age or just kids in general. At age 30, my tastes are likely far different than a 16-year-old in 2015. This is one of the reasons why I sometimes roll my eyes at some adult reviewers on other sites (some at very advanced ages) raving about certain books capturing what teenagers want. Just judge the book on its merits from your perspective, because you don’t have the perspective of a teen reader. So from that standpoint, I applaud DC for taking chances with some of these characters. Let’s face it: Canary has been woefully underutilized in the New 52 anyway, so it’s worth a shot. However, it’s also important to note that DC must continue publishing female characters that are also aimed at older demographics. The goal should be to bridge the gaps between curmudgeonly old male readers and the expanding demographics across the board. The dedication point is a strong one and a valid concern. While DC has been much less cancel-happy than many online would like to believe (seriously, they gave All-Star Western an enormous lifespan when considering how poor sales were), it has also spammed the market with “line” books — Batman, Green Lantern and Superman in particular. Time will only tell how long the company commits to this, but I sure hope they are in for the long haul. Audiences and buying habits are not changed overnight. Sometimes it takes years upon years to alter audience perception and bring the numbers you’re looking for. It starts with a solid commitment at the ground floor. I view the continuity “problem” from a different perspective. I actually hope we get multiple different versions of the same characters floating around, because I hope coexistence isn’t much of a focus. I’m tired of crossovers. They’re fine once in a while, but why shouldn’t there be a comedy Batman book? We can get our grim and gritty superheroics from Snyder, while someone else could give us more detective-based stuff, and another could give us a wackier, more kid-friendly take. This is a bit of a turnaround for me, as I grew up in an era when DC’s continuity and connectivity was strong. 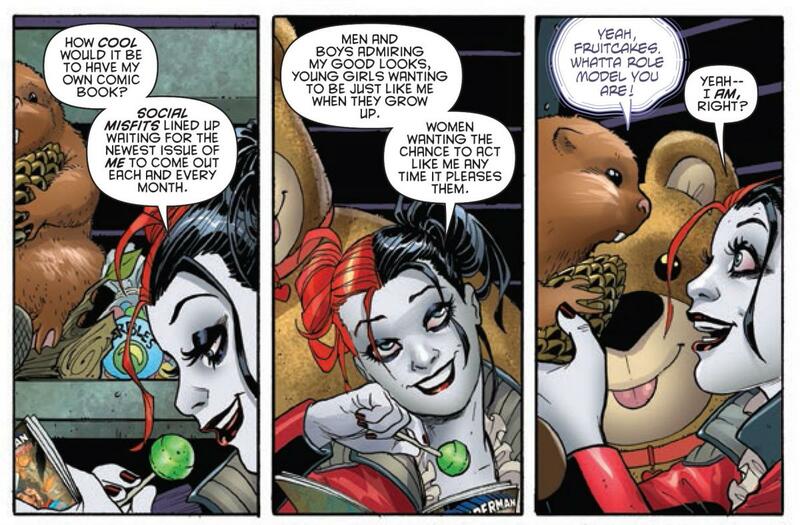 However, my honest belief is that both Marvel and DC have lost the ability to maintain coherent, fun continuities. In fact, the continuities I loved growing up have become albatrosses thanks to poor editorial oversight, uncompromising creators and constantly shifting editorial edicts. While I hope to one day see streamlined superhero universes, I think the best approach for now (and with the folks in charge at the Big Two) is to let the writers and artists tell the stories they want to tell, unencumbered by what’s happening in another title. What I absolutely agree with, though, is the importance of INTERNAL continuity. Perhaps “consistency” is a better word. We don’t need multiple resurrections, fakeouts and bait-and-switches. One problem that keeps popping up in comics is characters behaving inconsistently from story arc to story arc, even within a title. If Detective Comics is your noir, detective Batman book, he should act like the noir detective. Likewise, if you are keeping a character’s backstory, his/her story should reflect that. It’s a complicated issue, one with multiple valid viewpoints (yes, it’s OK to disagree, folks), but it’s one I think is ultimately going to make for a refreshing change from the status quo. My biggest concern is the fate and status of some of my most beloved characters and books. Several high-quality series are getting the ax to make way for the new batch, not the least of which is Van Jansen and Bernard Chang’s Green Lantern Corps. What will be the fate of John Stewart and company? That’s just one of the titles left in limbo after the change. Another concern I have is a book like Green Arrow shifting directions again. Just last summer, the tone, look and direction of the book shifted drastically when creative teams changed and the book took on more of the feel of the TV show “Arrow.” Now, however, a new team is coming aboard to shift the book into, seemingly at least, a more Mike Grell street-level direction. Nick: And see, I’m pumped about the new Green Arrow. The recent tone shift has proven to be adequate, nothing more. The new writer, Ben Percy, wrote a fantastic two-part Detective Comics story last year called “Terminal” that was among my favorite Batman issues of 2014. 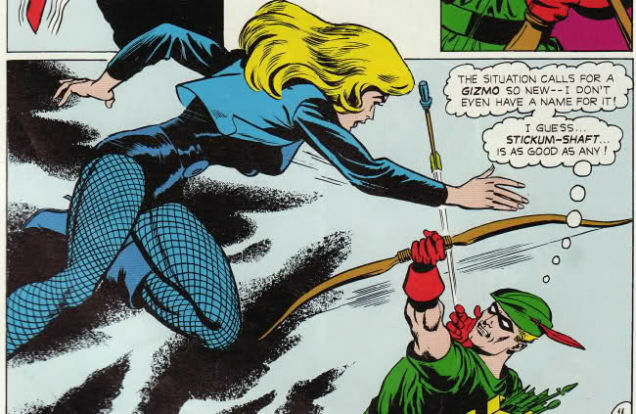 I’m excited to see Green Arrow return to his street sensibilities, if only because that’s what I prefer. So, pros and cons have been aired. After all that, give me 5 titles you’re most excited about and 2 that you’re going to avoid at all costs. Greg: Titles I’m most excited about: Cyborg (about time! ), Green Lantern: Lost Army (no idea what this is, but it’s emerald so it gets my money), Justice League of America (Hitch is a wonderful artist), Constantine: The Hellblazer (I admit the TV show is almost entirely responsible for my interest in the character and project) and Section Eight (because GARTH ENNIS). Titles I will avoid at all costs: Doomed (No. Just … no) and Bat-Mite (not for me, though I’m glad it exists, if that makes sense). Nick: I’ll be predictable and go with Batman first and foremost. Not only are Snyder and Capullo staying, but Snyder is promising a Batman concept we’ve never seen before, which covers a LOT of ground. Green Arrow, as I said, for the reasons I mentioned previously. Batman Beyond with Dan Jurgens should be interesting, so I’ll check it out for sure. Then, like you, Lost Army and JLA. 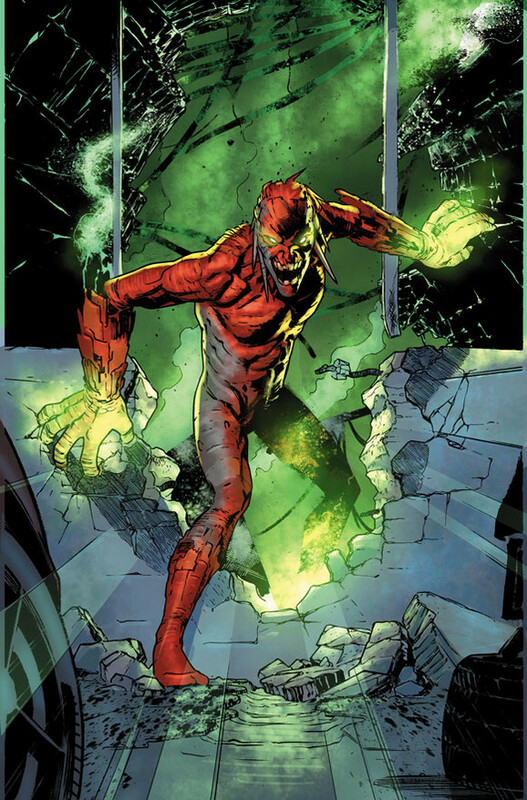 Cullen Bunn’s done a great job on Sinestro, so I’m intrigued to see what he does with an expanded role in the Lantern line. And, Hitch’s work on Ultimates was my introduction to superteam comics, so him coming over to DC has me all kinds of excited. Like you, I’m avoiding Doomed because Scott Lobdell. Also avoiding Red Hood/Arsenal. Because Scott Lobdell. Actual thing that is happening. Greg: It’s hard to argue with that logic. I’ll also throw a bone to Starfire here (no, not like that, guys) for one of my most anticipated books. I am astounded by what Jimmy and Amanda have done with Harley Quinn, and taking over a character with an even richer history and backstory should be just what the doctor ordered for a beloved character like Koriand’r. Nick: Well, that about covers DC’s new lineup, I think. Be sure to check back with us in just six short weeks for a new column! In all seriousness, we’re planning on being back next week with the return of Off the Page, in which we’ll review Marvel’s direct-to-video animated offering, Thor: Tales of Asgard. 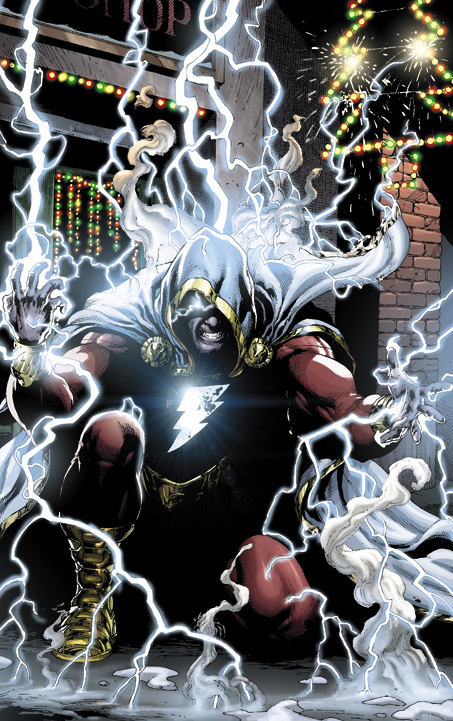 Greg: Until then, you can reach us with your thoughts on DC’s big announcement through Twitter (@gphillips8652 and @nickduke87), email (GregP@placetobenation.com and NickD@placetobenation.com) or through the BRAND NEW Place to Be Nation Comics Facebook page! Head on in and settle down for some nice comics discussion with the staff and readers.